I've never had a Superhawk apart before. I just did a factory Pro shift mod on my wifes bike and while it shifts SO much better, there seems to be a new noise. Maybe in the clutch. I checked and rechecked as I went along and it all went smoothly, but now there is a new noise. Or maybe just a little louder and it changes slightly when I pull in the clutch. (The clutch operation is fine.) The plates are pretty worn. I didn't measure them though. I'm thinking I don't know what your new noise sounds like. I would describe it as a rattle or a rotational noise that changes a little with the clutch pulled in... but the operation is normal. I know it's a little vague. I am just hoping that someone took apart a clutch and then encountered a noise. The cover housing is very thin and would offer little noise insulation, such as a big Kawasaki would. Last edited by ZERO; 01-11-2016 at 06:46 AM. My clutch has been apart more than once and is as noisy as ! It quietens down when I pull the lever. Operates perfectly so I have left it alone. The noise has been there for approx 3 years and I live with it. Before I disassembled the clutch it was quiet. These bikes are noisy from a mechanical standpoint. I have read on other forums about people who replaced bearings etc only to have the noise return shortly after. I had neglected to do so and now it runs dead silent again. 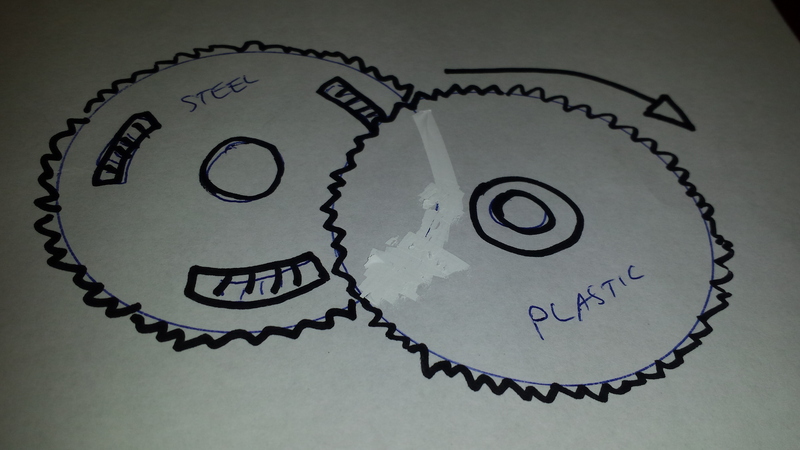 Can you explain how you 'loaded the gears behind the rotor'? What Kenmore says is the "Anti rattle" gear. I turned the plastic gear clockwise against the steel crank gear with a metal punch and then held the spring tension as I re installed the clutch hub assembly. It was a detail that I had missed when I had it apart before. Kind of a P.I.T.A. Now it sounds great. Like it did. Probably all normal sounds, I wouldn't be too concerned about it. My VTR has a clanky sound from around the water pump and it is probably just what you described. 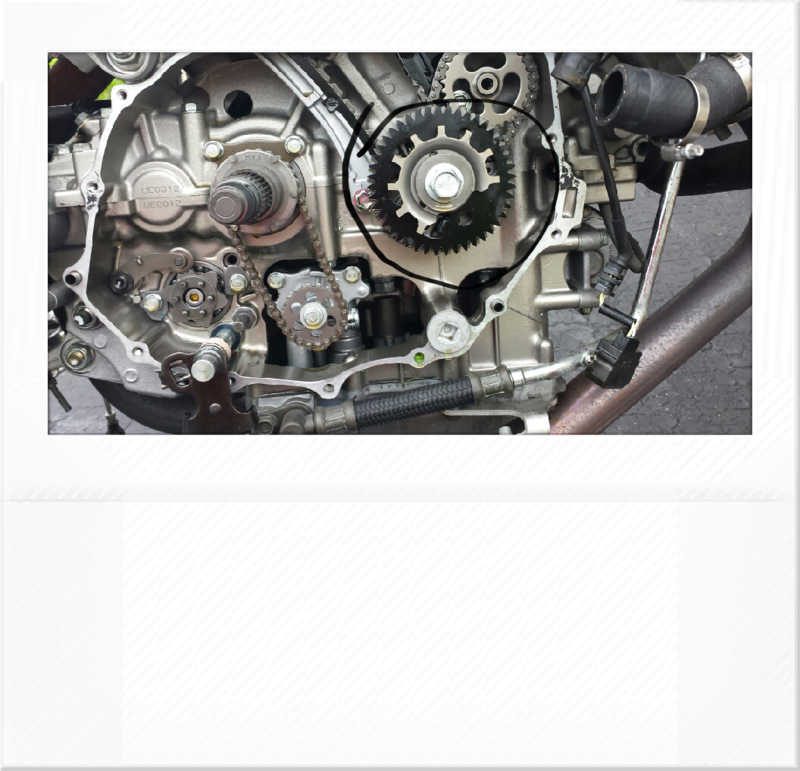 To preload the gear, do you have to remove the clutch completely? Yes. The basket must come back off. 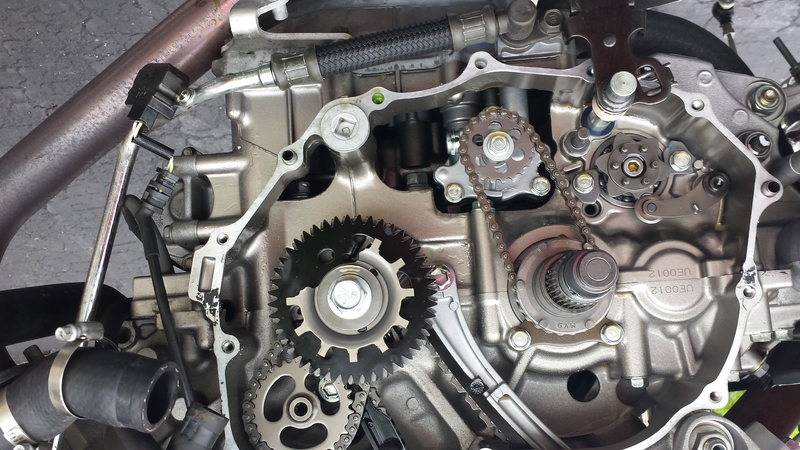 Load the plastic gear to the right until the teeth line up with the steel gear again and then slide the clutch hub back on,while holding them together under spring pressure and making sure to also align the pins for the oil pump gear. Kind of difficult to do and seemingly un needed. But makes it all quiet. Last edited by ZERO; 01-14-2016 at 06:13 AM. The rattle gear.The advancer is not in the drawing and does NOT need to be messed with. The plastic gear is behind it and is free spinning. It looks like just one gear, doesn't it? It's a stack of two. Last edited by ZERO; 01-13-2016 at 04:53 AM. Heim Joint - Shift Linkage Mod ? ?